Full-service engagement agency appoints Stephen McIntosh as its head of experiential to oversee activations. 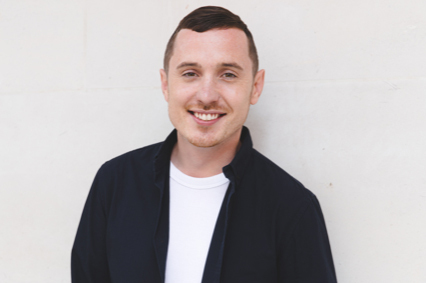 Audience UK has appointed Stephen McIntosh as head of experiential to oversee campaigns that include regular activations for clients such as Deloitte, Google Cloud and London Stansted Airport. McIntosh is an experiential marketing specialist with more than 12 years’ experience in the industry and has worked with some of the worlds’ largest brands on a wide portfolio of global campaigns. He has previously worked across the agency’s corporate events, overseeing the growth of the division to over 60% YOY growth. Stephen McIntosh said: "I am really excited to be stepping into my new role as head of experiential and to be leading all activation across our diverse client portfolio. "The team of live producers at Audience is second-to-none and I’m proud to be leading them as we grow as a business and increase our agency presence within the industry in the coming years." CEO Mickey Luke said: "Stephen is an effortless efficiency expert. As head of our corporate team Stephen has injected efficiencies and processes through our supply chain and client management which has paid dividends internally in Audience and externally with our clients." Audience UK was named one of the Top Challenger Agencies of 2018 by C&IT and two members of staff have recently been chosen for C&IT A-List 35 under 35.